means Whitco Ltd, a company incorporated in England with company number 03120033 and a registered address at 14 Cottingham Way, Thrapston, Kettering, Northamptonshire, England, NN14 4PL. 1.1 This Agreement is the only form of contract between the Parties and any Customer terms and conditions will not apply unless expressly agreed in writing. By submitting an Order, the Customer agrees to apply the terms and conditions of this Agreement in priority over any other agreement between the Parties except previously agreed Whitco Credit Account terms and conditions which, where conflict arises, take precedence over this Agreement. 1.2 Any Order is subject to acceptance by Whitco. Whitco is not obliged to accept any Order or to justify refusal of the same. Receipt of payment for Goods by Whitco does not in itself constitute acceptance by Whitco of the Order. 1.3 Whitco may vary the terms and conditions of this Agreement from time to time by publishing new terms and conditions on the Whitco website or in a catalogue. 2.1 Descriptions and specifications for the Goods are set out on the Whitco website at the time of the Order or the Whitco catalogue from which the Order is placed provided the catalogue is current at the time of the Order. 2.2 Goods ordered in a specific colour, pattern or design are sold subject to stock availability and Whitco may substitute the Goods with newer items or items of comparable or better quality, alternative colour, pattern or design with the Customer’s approval. 2.3 If any Goods are unavailable or out of stock then Whitco may cancel the Order in whole or in part and refund any monies paid or issue a credit note. Alternatively, Whitco may vary the Order with the Customer’s approval. 3.1 The Goods shall be payable at the prices listed on the Whitco website at the time of the Order or the Whitco catalogue from which the Order is placed provided the catalogue is current. Whitco reserves the right to update prices on the Whitco website or in future Whitco catalogues from time to time. 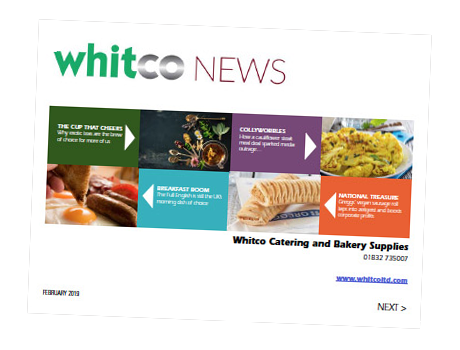 Occasionally, prices advertised on the Whitco website may differ from prices advertised in the Whitco catalogue and Whitco is under no obligation to honour the price in the website if the Order is placed through the catalogue. A delivery and/or insurance charge may be payable in addition to the price of the Goods. All prices are quoted in British Pound Sterling. 3.2 Unless otherwise stated, all prices quoted exclude Value Added Tax (“VAT”). Any such VAT shall be charged in accordance with the relevant regulations in force at the time of the Order. 3.3 Occasionally an error may cause the price/description published or advertised for Goods to be incorrect, in which case Whitco shall be under no obligation to honour the incorrect price or Order. 3.4 Payment for Goods and Delivery may be made by any of the options listed on the Whitco website or catalogue. Cheques and cash usually require a minimum of 6 working days to clear and the Customer account, order or quote number MUST be referenced with payment. Whitco reserves the right to withhold or refuse further shipments of Goods until all overdue accounts are settled. Any payments returned unpaid by a bank will be subject to an administration fee of £25.00. 3.5 Whitco reserves the right to charge interest at 8% above the base lending rate of the Bank of England calculated monthly on late or overdue payments by the Customer. 3.6 All Orders may be subject to further credit or security checks. 4.1 Full delivery prices and options are listed on the Whitco website or catalogue and subject to change from time to time. 4.2 Offshore/Remote deliveries will usually be despatched as soon as possible however the actual delivery time cannot be guaranteed and will vary depending on the delivery location. 4.3 Whitco will use reasonable endeavours to meet delivery estimates in all cases however Whitco cannot be held liable for any loss or damage due to delay in delivery. 4.4 Risk in the Goods transfers to the Customer at the time of delivery but title will not pass until payment has been made in full for the Goods in question. 4.5 Goods delivered are used, stored and installed at the Customer’s own risk and Whitco will not be liable for any damage, loss or disruption caused by the same. Where installation/disconnection services have been ordered by the Customer, further charges, terms and conditions may apply as communicated by Whitco to the Customer before delivery. 4.6 All large machinery, refrigeration and flat packed Goods are delivered to the front door of ground floor locations only. The delivery person/driver may at his/her discretion assist with delivering the Goods to a location within the premises nominated by the Customer, at the Customer’s sole risk. 5.1 Subject to the conditions in this Clause 5, Goods sold in the UK mainland may be returned for a refund, exchange or replacement within 14 days provided they are returned unused, in a saleable condition and in their original packaging. Goods that have been opened, marked/soiled, damaged or used will only be entitled to a partial refund (not exceeding 60% of the purchase price) after assessment by Whitco. Goods deemed non-saleable will not be refunded and will only be returned at the Customer’s cost. Certain large or bulky items may also be subject to a restocking fee (usually £75). Certain Goods cannot be returned for hygiene reasons. Certain Goods such as knives must be returned in adequate postal packaging for health and safety reasons. Certain last-in-line or special-to-order Goods may also be non-returnable and will be flagged accordingly on the Whitco website or catalogue. The carriage cost of returns may be refunded in whole or in part to the Customer at Whitco’s discretion. 5.2 Goods are guaranteed against defects in accordance with the terms of the manufacturer’s warranty or for one year from delivery unless otherwise stated. Goods reported faulty within the specified warranty period may be repaired, replaced or exchanged at Whitco’s discretion. Parts and labour under this warranty are guaranteed in the UK mainland only. 5.3 Goods that are damaged due to delivery must be reported to Whitco within 24 hours. Large goods such as refrigerators must be inspected by the Customer on delivery for damage and an acceptance of delivery docket completed noting any damage that resulted from delivery. Goods that are missing from delivery must be reported to Whitco in writing within 7 days from delivery. 5.4 The warranties in this Clause 5 do not apply to any defect in the Goods caused by the fault, negligence or failure of the Customer to use the goods for their normal intended purposes or failure to adhere to manufacturer instructions (including storage, use in incorrect environment, maintenance, de-scaling and cleaning). Gaskets, refrigerants, filter driers, shelves, tray slides, castors and legs, electric lamps, fuses, keys, locks, glass, filters, mains plugs and leads, hose connections and consumables are warranted to be free from defect on delivery only and any damage caused due to delivery must be reported to Whitco within 24 hours to qualify for replacement, repair or refund at Whitco’s discretion. Goods marked ‘semi-commercial’, ‘light-duty use only’ or similar must not be used as substitutes or replacements for heavy-duty or commercial-grade equipment. Goods marked ‘no commercial warranty’ are sold without any warranties unless otherwise stated. Certain Goods may be disposed of in accordance with Whitco safety instructions for replacement, exchange or refund with Whitco’s prior approval. Engineer call-outs and repairs carried out on non-warranty faults or defects may be subject to further charges including where the Customer has missed or is unduly late for an arranged call-out. No Goods will be sold on a ‘sale or return’ basis without prior written approval by Whitco. Whitco may in its reasonable discretion invalidate warranties for any Goods that have been or are suspected to have been altered, tampered with, serviced, repaired or attended to without Whitco’s prior approval. 5.5 Statutory rights for Customers placing Orders as private consumers (as defined by law) are not affected. 6.1 Whitco reserves the right, by notice to the Customer, to cancel or suspend any Order where payment has not been received in accordance with Clause 3 of this Agreement. 6.2 Whitco reserves the right to cancel any Order and/or terminate this Agreement if the Customer cannot pay its debts or becomes bankrupt or has a winding-up order made or appoints an Administrator, Liquidator, Receiver or similar is appointed over the whole or a substantial part of the assets and undertaking of the Customer. 6.3 Whitco reserves the right to suspend or terminate performance of this Agreement where delivery or supply of the Goods and/or performance of this Agreement is affected by reasons out of Whitco’s reasonable control such as force majeure, act of God, adverse weather and government intervention, sanction or legislation. 6.4 Whitco reserves the right to cancel any Order where it is reasonably suspected that the Customer is not legally permitted to purchase any Goods specified in the Order (such as solvents and knives). 7.1 The Customer agrees that Whitco will not be liable for any losses or damage suffered by the Customer including but not limited to damage to neighbouring or connected items or premises, consequential loss, loss of business, business interruption or loss of time due to the use or purchase of the Goods by the Customer. Whitco will not be liable for any additional damage caused by the Customer’s failure to report a fault or defect in good time or failure to provide reasonable access to the Goods for repairs, service or engineer visits. Nothing in this Agreement shall exclude Whitco’s statutory liability for injury or death. 7.2 Goods sold are not insured for delivery unless otherwise confirmed by Whitco. 8.1 Goods sold or supplied by Whitco may be subject to copyright (whether owned by Whitco or a third party) and the Customer covenants not to breach, infringe or prejudice any intellectual property and copyright associated with the Goods without approval. The Customer agrees to indemnify and hold Whitco harmless for any breach of said covenant. 9.1 This Agreement is governed by English law and the Parties shall be subject to the exclusive jurisdiction of the English courts.